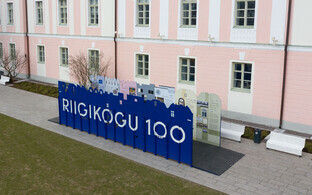 Local governments across Estonia are marking the 100th anniversary of the formation of the Constituent Assembly, the forerunner of the Riigikogu, on Friday. Enn Eesmaa (Centre), the oldest serving MP at the XIV Riigikogu made a speech on Friday encouraging the public to participate in the commemorations, which are being held at the birthplaces of the 120 people elected to the assembly in 1919. "We remember with a sense of gratitude the activity of those 120 men and women who established the basis for our country and adopted the first Constitution of the Republic of Estonia," Mr Eesmaa said. A total of 48 municipalities are taking part in the event, which covers all 120 birthplaces. The Constituent Assembly elections of April 5-7 1919 (Estonian: Asutav kogu) were in fact the third such attempt to establish an assembly. Following the February 1917 revolution, which toppled Tsar Nicholas II, the Russian provisional government declared Estonian autonomy, and elections to a Provincial Assembly (Estonian: Maapäev) took place in July and August of that year. Following the Bolshevik takeover of power in October 1917, Constituent Assembly elections were held in February 1918, but were disrupted by events leading to the Estonian War of Independence, both with by the Bolsheviks, and by German occupation. Following the Estonian declaration of independence by the Estonian provisional government on 24 February 1918, the 1919 elections took place in April, using the d'Hondt system of proportional representation, with Estonia treated as one single district. 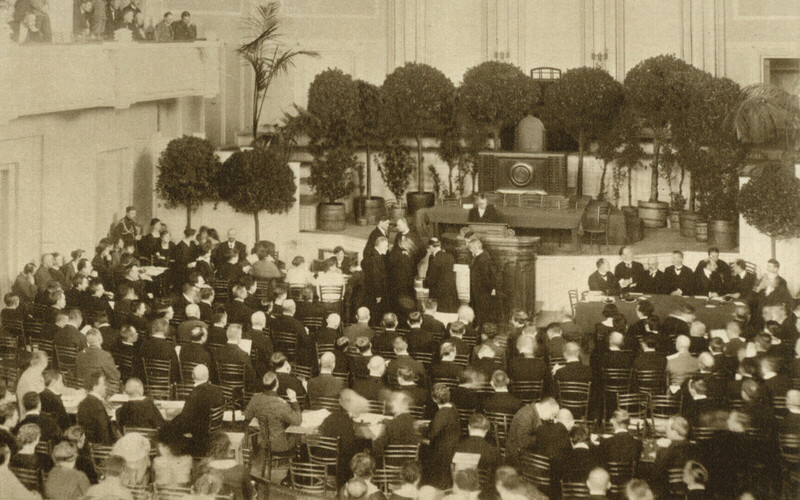 Those eligible to vote included troops in the front line of the War of Independence, and the assembly adopted a temporary Constitution of Estonia as well as reaffirming the previous year's independence declaration. With the 1920 Treaty of Tartu with the nascent Soviet Russian state, the Estonian constitution was adopted, elections to the new Riigikogu took place in November, and the assembly was dissolved at the end of that year. The original Riigikogu elected in November 1920 had 100 seats, compared with the current 101 seats. From 1922 the Riigikogu sat at Toompea castle, its current seat (the 1919 Constituent Assembly convened at the Estonia Theatre). A modified form of the d'Hondt method used in the 1919 Constituent Assembly elections is still used in all three levels of Estonian elections, local, national and European. 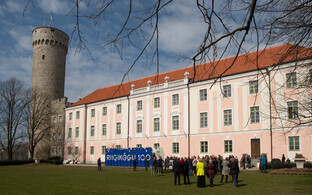 The official Estonia 100 site has a map showing the assembly members birthplace locations (in Estonian).